"Every single dish I have had is amazing. The best part though is those amazing lil spicy carrots. I crave them on a regular. When we moved to Pflugerville I was super sad because this place is easily the best Indian restaurant in Austin. We still make the drive for it, but we ate there all the time when we lived next door. The red curry is easily my favorite with paneer." "The food is always excellent! The ambiance is perfect for the meal. The staff are always courteous and prompt." "The buffet and ambiance. It's never overcrowded or loud and the food is consistently good. Also love the Indian music and t.v. channel on!" "Love the food! Love the sauces. Love the tea. Love seeing the same friendly faces. Love bringing the kids. Love that it is closed and reasonably priced." "It's close to our house and has reliable and delicious options. I always get take out but I've always wanted to try the buffet and goat curry. Portions are a great size. My favorite things to order are the baingan bharta lamb korma, chicken or lamb vindaloo, and keema naan. " "It's the only authentic Indian Food I've found in Austin, true authentic Indian Food"
The food and the service at Taj Palace are the reasons I keep coming back. The food is consistently delicious and the service is always friendly. 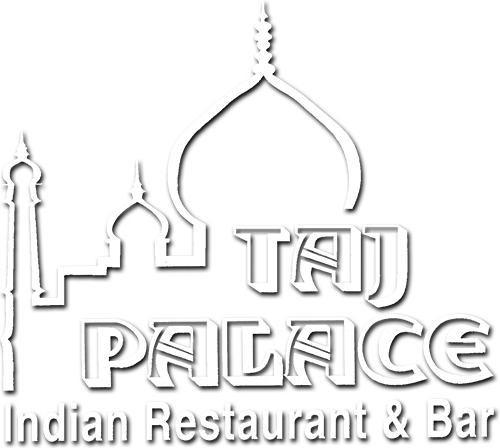 I think of Taj Palace as my local, family owned Indian restaurant. Have questions About our Menu, Catering, or How to Place an Order Online? We Can Help, Call Us Today At (512) 452-9959. Get Updates, sign up for our email news letter.